Below are some our Website and IT Support clients. Our portfolio including companies in an array of different businesses, companies industries, offerings, locations and sizes. Admirable Consulting would love to help you build and create a new website or transform your current content into a mobile friendly site with a fresh new look. We are affordable, skilled and personable. Please contact us if you would like to discuss how Admirable Consulting can help you with your website needs. "Scot Marion, at Admirable Consulting, has done a fabulous job for Straight Ahead Colorado for a number of years. He is so pleasant and easy to work with. He responds to our emails, phone calls and needs almost instantly. Any time we need something changed, he is always right there to assist us. With his excellent customer service, knowledge and computer skills, we would recommend Scot and Admirable Consulting to anyone looking for a superior company in this field." Scot (Admirable Consulting) is a talented programmer and business owner, I have worked with Scot for over 6 years and he has built multiple web sites for me. He is responsive, easy to work with, efficient, and a great person to partner with when looking for reliable technical services. "Scot Marion has been invaluable to LoadPoint Solutions.com. We looked a long time before finding someone who was as committed to our project as we were and did all we asked and more. It is rare to find someone with his integrity, work ethic and capabilities. We are so impressed that we will be using him on another major web site in the very near future. I highly recommend Admirable Consulting to anyone who is looking for the BEST." I have known Scot as an IT professional for approximately 10 years. During that time, Scot responded timely to phone calls and emails from a diverse population. Scot was always positive and found solutions quickly. When a network is down, people are quick to show negative positions. Scot never let that influence his response time and always handled situations professionally. Scot is a unique person in that he has his priorities in place: God, family, friends, work; none of these priorities suffered with Scot—he is a man among men. I am happy to call Scot a friend. Admirable Consulting, Inc. facilitated the creation of an entirely new website and site hosting for Street's Hope, a 501 (c)(3) nonprofit organization in the Denver area. While working with Scot Marion, through Admirable Consulting, our staff consistently received great customer service. Scot Marion provided us with clear communication, prompt responses and reliable follow up that allowed us to focus our time and energy on direct client services. We were impressed with his technical abilities to create the website and have enjoyed working with him throughout this entire process. We feel fortunate that we were able to work with Admirable Consulting, Inc and can confidently recommend this company. "Scot is very personable and easy to work with and he is technically knowledgeable in all aspects of web site development and Visual Basic programming for which Kuhns & Associates has greatly benefited from his expertise in. I highly recommend the services of Admirable Consulting for their quality of work, timeliness and integrity!" "Admirable Consulting has created Visual Basic programs for Denver Water that enable a large volume of complex water collection system operations data to be transferred from Excel spreadsheets to an Oracle database. The programs transfer the data accurately and Scot designed the programs to be flexible, allowing changes to be made as the source data changes with time. The programs also effectively handle the intricacies of water accounting under the complexities of Colorado water law and have become an invaluable part of our accounting process." "Scot Marion (Admirable Consulting) has become an important part of our ministry. He is readily available at all times and has been such a pleasure to work with. Scot can accomplish a number of requests simultaneously and changes are made extremely fast!! He makes our website user friendly, efficient and is always appealing to the eye. He also has great ideas and is very knowledgeable in every aspect of our website needs. We would recommend Scot and Admirable Consulting to anyone, THANK YOU!!!." 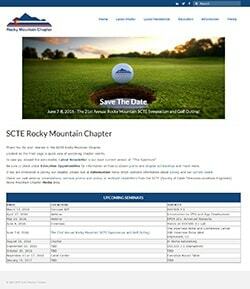 "Scot Marion (Admirable Consulting) has worked faithfully with us to create a web site that fits us here in Wyoming. He has willingly added, adjusted and corrected any part of the site that we requested. 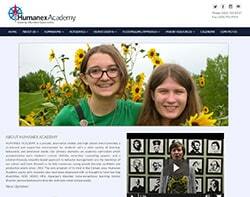 We believe that he has created for the church not only a beautiful web site but also a highly functional one. We highly recommend Admirable Consulting and Scot to you for all your internet needs." "Scot Marion, Admirable Consulting, has added greatly to my visibility on the world wide web. He is creative and extremely responsive to my needs in creating, changing and adding to my sites image and content. I would not have the full and meaningful ministry private practice without his professional assistance and guidance." "Scot Marion (Admirable Consulting) has helped revitalize our site, with a fresh look and new features. Scot was very helpful, accommodating, and patient, in working through design and customization processes. We also have found Scot to be reliable and a blessing to work with." "Scot Marion (Admirable Consulting) is readily available at all times and easy to work with. His response time is excellent for additions or changes to client's Web sites, and he is always willing to make adjustments and work with numerous requests at the same time. The finished product is always attractive, excellent, effective and user friendly. We would recommend Admirable Consulting for your Web site needs." 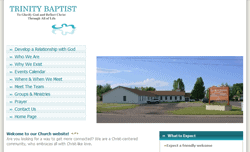 "Scot and Admirable Consulting, have done and outstanding job with the Twin City Christian Church website. With the information that we provided Scot was able to craft a site that captures the feel of our church. In addition the web tools, such as the calendar, blog site and the bulletin boards, add a dynamic form of communication that can be accessed at any time. We have never experienced any issues with getting new material posted or in changing the existing content. In every way we are pleased with the service we have received and highly recommend them to any church looking for a website that goes beyond the "cookie-cuter" type so often used by smaller churches."